The weather fluctuates drastically between the seasons in Fairview, Texas, so your home’s HVAC system is typically hard at work, keeping a comfortable atmosphere indoors. Taking care of your home’s heating and cooling system is the best way to prolong its life and save money. With regular maintenance, you can keep your system in great shape throughout the changing seasons. When your system runs, it pulls air from the home into the heating or cooling chamber, where it can cool or heat the air and remove humidity. When a component is broken or something isn’t working properly, the system has to work harder to move and heat or cool the air, which requires more energy. During regular maintenance service, your HVAC technician will examine the various parts of the system to make sure everything is fully operational. As a result, you’ll have lower bills every month. 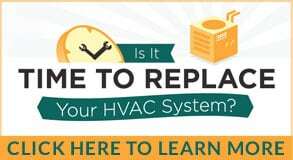 One of the most important reasons to invest in routine HVAC maintenance is that it will lessen the need for expensive repairs. As the technician gets familiar with your heating and cooling system, he can quickly spot a problem before it becomes more serious. It is also less likely that your furnace or air conditioner will give out completely when someone is keeping an eye on it throughout the seasons. If a minor issue does pop up, such as a damaged belt, or a component breaks, the technician can fix it then instead of after it causes additional problems. Routine maintenance also will extend the life of your system, which means you won’t have to invest the money to replace it as quickly. Another major benefit of keeping up with routine HVAC maintenance is improved efficiency. During the service, a technician will perform some light cleaning on the components, which allows them to operate more efficiently. You can also bring in a professional for a duct cleaning, which will clear out any dust, dirt, and debris within the ducts that can slow down the airflow. Schedule your routine maintenance service with Bill Joplin’s by calling us at 888-414-4655.